Made in the USA, Hornady’s American Gunner ammunition line offers accuracy and stopping power for competitors, hunters and concealed carriers! Hornady is known for quality, American-made ammunition, and for 2015 the company has introduced its new American Gunner line. 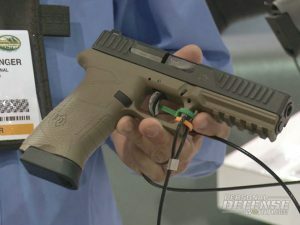 Billed as a do-it-all configuration whether you’re target shooting, hunting or preparing for self-defense, the American Gunner line combines proven ballistics technology with modern components for superior performance. The preliminary offerings for the American Gunner line feature Hornady’s proven XTP (eXtreme Terminal Peformance) bullets, which have been used for years by hunters, concealed carriers, law enforcement and competitors for its accuracy and penetration potential. The XTP bullet has undeniable stopping power, thanks in part to its precise serrations that allow for controlled expansion even at low velocities. The propellants for the series are matched to each American Gunner load to ensure consistent pressures and velocity. 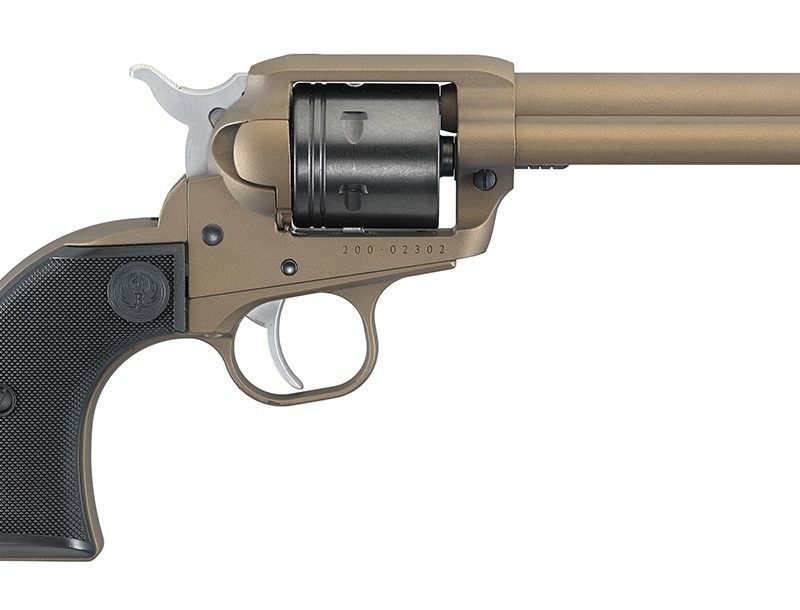 The initial chambering offerings for the American Gunner line include 9mm, 9mm +P, .357 Magnum, .38 Special, .40 S&W and .45 ACP. 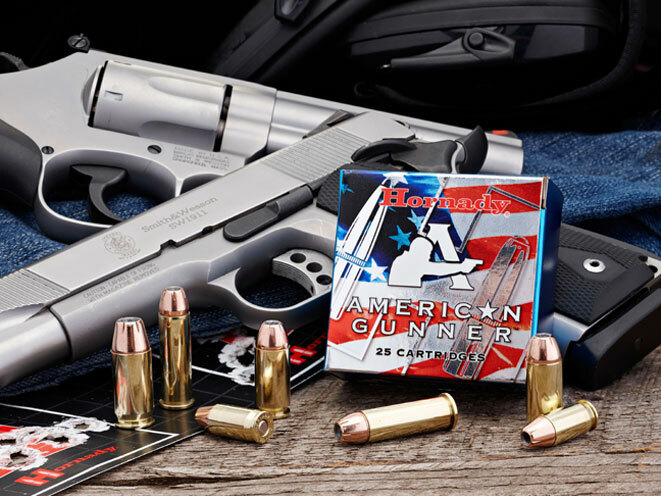 If you’re looking for an ammo line that do it all, whether you’re in the backwoods, on duty, competing on the range or defending yourself against an armed attacker, Hornady’s American Gunner is worth your consideration. For more information on the American Gunner ammo line, contact Hornady by visiting http://www.hornady.com or calling the company at 800-338-3220.